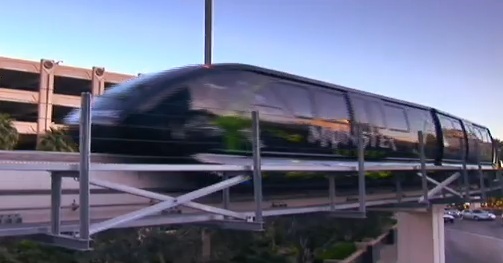 It has definitely been a struggle but the Las Vegas Monorail is still in operation. 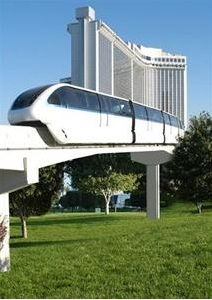 There was a joke all over Vegas that the sports books would put a bet on the board that the Monorail wouldn't make it another year and that was in 2008. I have never gone more than two days without riding the Monorail but many People have come to Vegas a 100 times and never once ridden it. The best reason to ride it is to get to and from the Flamingo/Quad/Harrah's part of the south end at MGM. all the other stops are not as popular but that route is because You can really save some walking and time. You can buy Tickets online but there is no advantage in doing so, the tickets are available at each station and credit cards only are accepted.